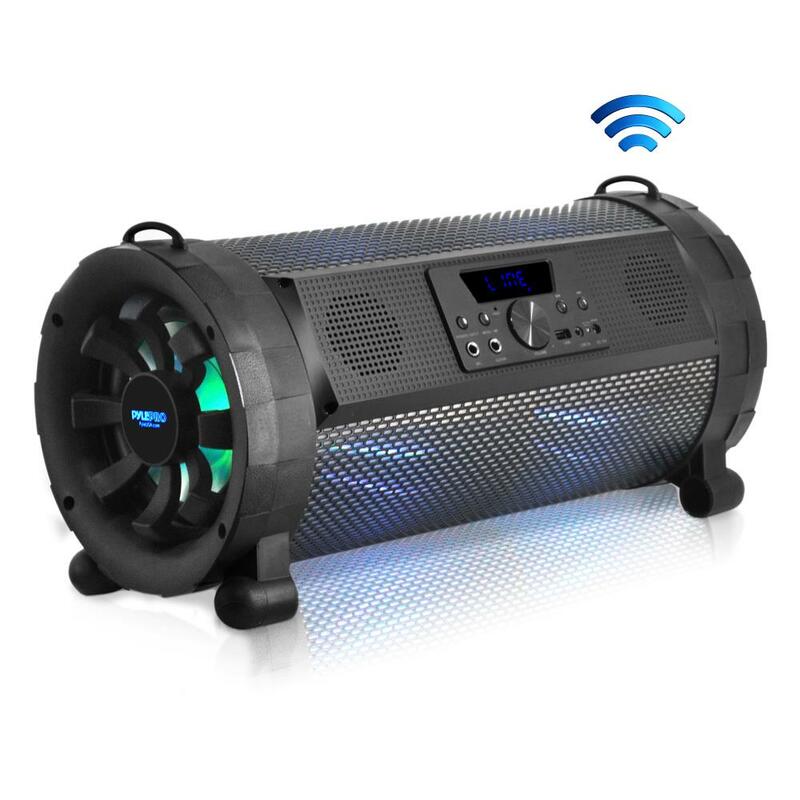 Perfect for the Beach or Backyard - Instant Party Anytime, Anywhere! The Pyle Street Blaster Bluetooth Boom Box Speaker System - Wireless & Portable Stereo Speaker with Built-in LED Lights, FM Radio (300 Watt) - Wireless & Portable BoomBox Stereo - Bluetooth Wireless Music Streaming Ability - High-Powered Speaker System Output - Built-in LED Lights for Stunning Visuals - FM Radio with Digital LCD Display - Built-in Rechargeable Battery - 2.1 Channel Digital Amplifier Design - Full Range Stereo Sound Reproduction - Ported Enclosure for Extended Bass Response - MP3 Digital Audio File Support - Aux (3.5mm) Input - (2) 1/4’’ Input Jacks (for Microphone, Guitar, Instrument) - Connect & Stream Audio from External Devices - USB Flash Drive Memory Reader - Perfect for the Beach or Backyard - Instant Party Anytime, Anywhere! - What’s in the Box.